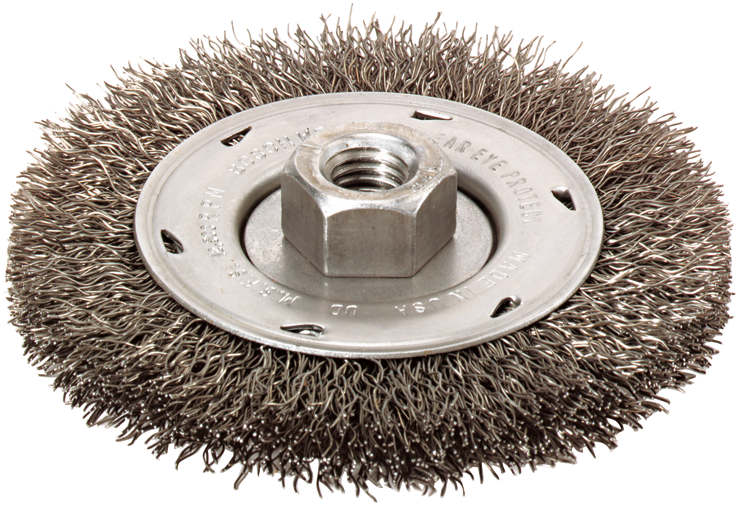 Bosch offers a full selection of crimped and knotted wire cup brushes catering specifically for all work solutions. Bosch full cable-knotted wire wheels with narrow faces allow more difficult brushing applications and excel in tight places for jobs like cleaning welds on angles or corners. The precision- balanced cup virtually eliminates vibration.